The Supreme Court on Tuesday imposed a humiliating punishment on the former interim Director of CBI, M Nageshwar Rao, after he was found guilty of contempt of court. The Supreme Court bench headed by Chief Justice of India Ranjan Gogoi directed Rao to stay in a corner of the court room until the day’s hearing ended and imposed a fine of Rs 1 lakh, which he will have to deposit within a week. This was after Rao had submitted an unconditional apology to the top court for violating its order by transferring a CBI officer, who was investigating the Muzaffarpur shelter home case. However, far from being satisfied with his apology, the top court on Tuesday took a dim view of Rao’s action to defy the Supreme Court and held him guilty of contempt. CJI Gogoi said that although there was a provision of sentencing Rao to 30 days in jail, he was only imprisoning him until the court rose for the day. However, just before 4 pm, Attorney General KK Venugopal asked the Supreme Court bench if Rao could be allowed to leave since, according to him, his punishment was over. This further infuriated the bench, which warned the AG of not testing the court’s patience. An angry bench warned that any more tricks will result in a possible extension of Rao’s stay in the court. This warning sent Rao into a state of utter shock as he remained glued to his seat. Such was the fear in his mind that he refused to leave the court room even after the day’s proceedings had officially come to an end. A frightened Rao, according to one legal correspondent, insisted on a formal approval from the top court, allowing him to leave the premises. “Clearly, Rao was in no mood to spend one more day in court, facing humiliation,” said a reporter present there. At around 4.30 pm, Rao was given the go-ahead by the Supreme Court to leave. As he walked towards the elevator, he was met with several legal correspondents, with some seeking his reaction on the punishment. As expected, Rao remained silent as his lieutenants tried to provide cover to their boss. What was more comical was how he stood inside the elevator. To avoid the cameras, he stood facing the back of the elevator. 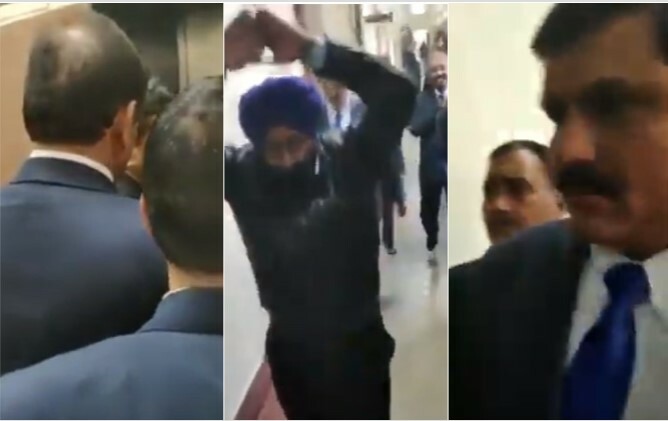 Who would have thought that an officer, considered to be so close to Prime Minister Narendra Modi, will have such a humiliating day inside the Supreme Court.